The name says it all, the purpose of the full underscarf is to cover all of you from chest and above. The full underscarf provides ease of use and ease of wear. Full underscarves have many benefits, including being made of cotton or viscose material and it is super soft and comfy to wear, the fabric itself is breathable, so this gives you the added benefit of being able to wear it all year round. The bottom of the underscarf where the hem is, is made in such a way that is covers most of the back and neck, curving at the shoulders this means that you are fully covered and it makes wearing small or sheer and see through scarfs easy. 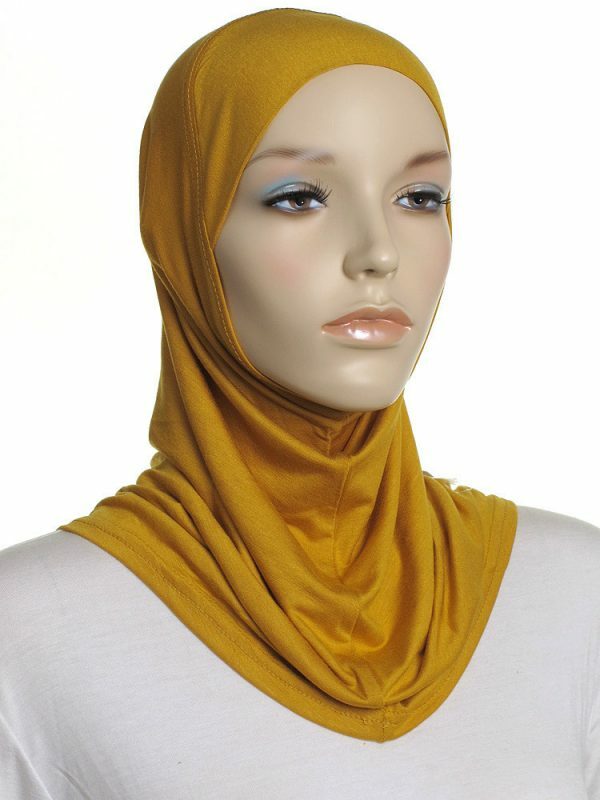 These underscores are also great for necks that are big, especially when it is a problem when you have a v neck or a english top that has a wide neck which means that your chest area might otherwise be visible, sometimes you might even wrap a hijab properly but it is so windy out there that the hijab moves out of the way causing quite an embarrassment for yourself!